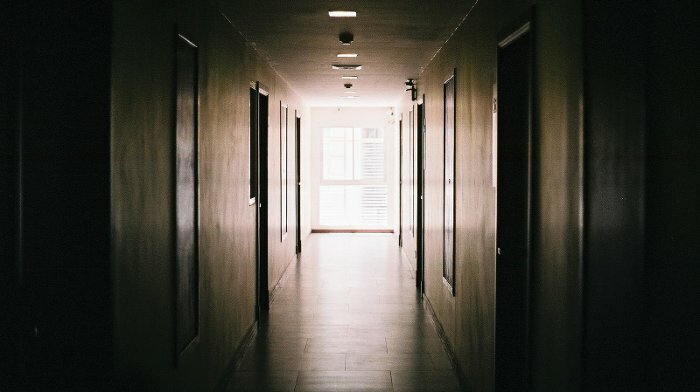 According to figures regarding reports made to the police, 60% of thefts by housebreaking in Italy take place through the main door, a percentage that reaches 90% in urban areas, given that the top floors of apartment buildings and condominiums are more difficult for thieves to reach using other accesses. Locks with European profile cylinders have become increasingly widespread over recent years, often replacing other types of locks, even where maximum security is required, such as on the front door of homes. Why? European profile cylinders cannot be opened with using the so-called “Bulgarian lock picking method”, which became very widespread in recent years and made traditional double bit locks extremely vulnerable. Not surprisingly, many old double bit locks have been replaced by modern locks with European profile cylinders. 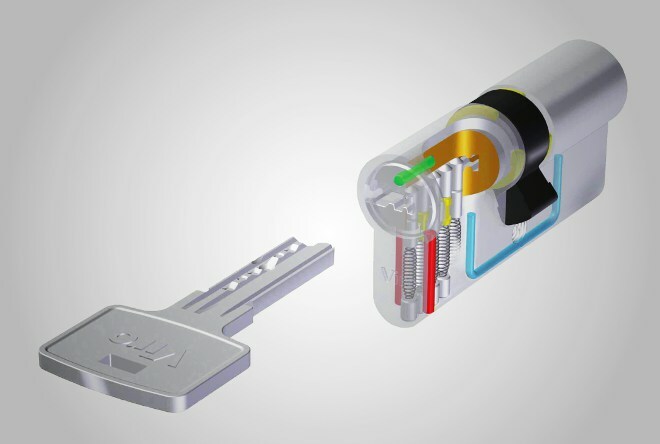 Also, compared with the double bit lock, the European profile cylinder has a slot for inserting a narrower key, which makes it more difficult to introduce and operate burglary tools. 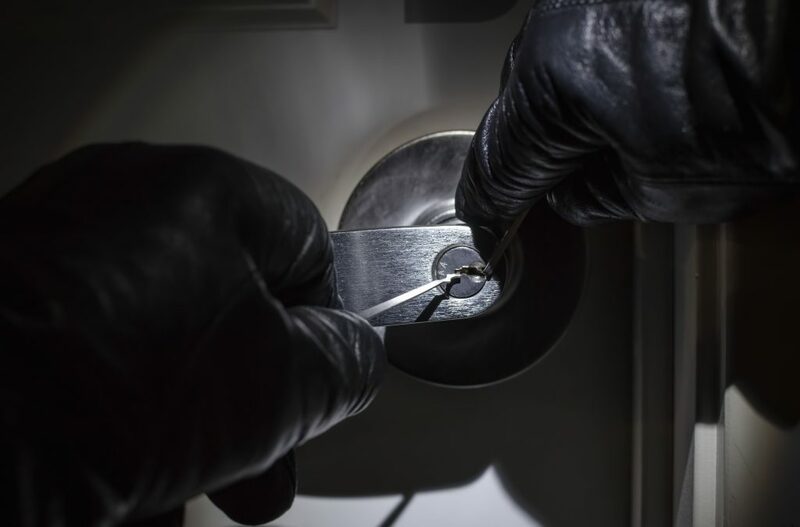 As we will see, the European profile cylinder may be vulnerable to other burglary techniques, such as lock picking and key bumping, but there are effective countermeasures for these techniques. Cylinders have been developed over recent years which are highly resistant from a mechanical point of view, fitted with anti-drill plugs and pull-resistant reinforcements. Security escutcheons have also been developed which, combined with the cylinder, considerably increase the resistance to attacks carried out with brute force, thus creating a very secure system. Compared to other types of locks, such as the double bit lock, locks with European profile cylinders may have smaller dimensions, making them suitable for use in confined spaces, such as on aluminium profiles, frames of French doors or windows and on security gates. European profile cylinders are available in a wide range of lengths and models and therefore suit almost any need. You can select from the most secure to the most inexpensive, with traditional keys or flat punched keys, with or without internal knobs, with the possibility of being opened from one side even if the key is inserted in the other side or not, with the key being used from both sides (double cylinders) or from only one side (half cylinders), etc. Locks with European profile cylinders are systems consisting of two parts: the lock itself, that is, the mechanism with the latch and/or the dead-bolt, and the cylinder which controls it. This makes it possible, if necessary, to change merely the cylinder or only the lock, for example in case of a malfunction of one of the two parts, or because you wish to install one of a higher-category. in hotels, offices, warehouses and communities, such as the master key systems (where different locks are each opened by its own key and all are opened by the same master key), or the general master key systems and the group master key systems (where each lock is opened by its own key, groups of locks are each opened by the same group master key and all the locks are opened by the general master key). A key for a European profile cylinder is not only smaller and easier to use but it is also more difficult to copy than a key for a double bit lock, since, in addition to copying the height of the teeth it is also necessary to use the same key profile, otherwise it does not enter the cylinder. There are many profiles, some of which are patented, which can only be copied by authorised centres and only if one presents an ownership card. 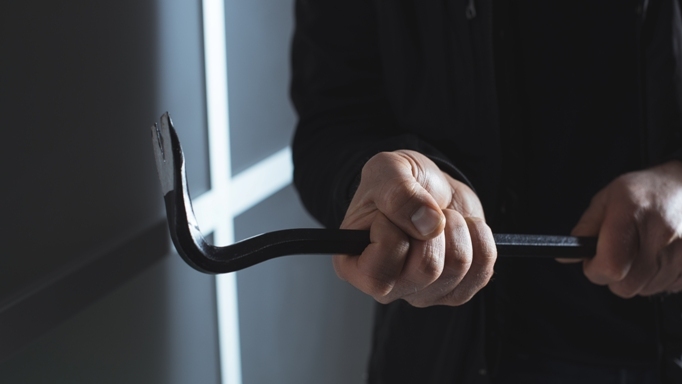 In the face of all the advantages that we have seen, the European profile cylinder can be potentially vulnerable to 4 break-in techniques: lock picking, key bumping, attack by drilling and pulling. For all these techniques there are effective countermeasures; it is therefore important to check that the selected cylinder is designed with this countermeasure and that the installation is carried out in a workmanlike manner. In a future blog we will see how to choose and correctly install a European profile cylinder… come back and visit us!